Jean Kazez: Do we have reasons to enjoy music? Many people hate the sound of squeaking chalk. I hate the feeling of touching velvet, the sound of buzzing house-flies, and the flattening, deadening effect of some overhead lights. The oddness of these dislikes does not make me less than fully rational. Whether we like, dislike, or are indifferent to these various sensations, we are not responding or failing to respond to any reasons. Similar remarks apply, I believe, to many aesthetic experiences. It is sometimes claimed that we have reasons to enjoy, or be thrilled or in other ways moved by, great artistic works. In many cases, I believe, this claim is false. We can have reasons to want to enjoy, or be thrilled or moved by, these artistic works. But these are not reasons to enjoy, or to be thrilled or moved by, these works. We do have reasons to admire some novels, plays or poems, given the importance of some of the ideas that they express. But poetry is what gets lost in the translation, even if this translation expresses the same ideas. And we never have reasons to enjoy, or be moved by, great music. If we ask what makes some musical passage so marvellous, the answer might be ‘Three modulations to distant keys’. This answer describes a cause of our response to this music, not a reason. Modulations to distant keys are like the herbs, spices, or other ingredients that can make food delicious. When someone neither enjoys nor is moved by some great musical work, this person is not in any way less than fully rational, by failing to respond to certain reasons. I wanted my brother to explain in music theory terms why I find this song so beautiful, and he had quite a lot to say about it. I now have a couple of pages of notes that do have some explanatory oomph--stuff about stability, instability, chords, etc. I want to stress: this was pretty illuminating. Do the notes give me a reason to like "He Doesn't Know Why"? I think Parfit might be right about this--the musical elements my brother identified really are a lot like the spices in food. You could find out it was the cumin that made you like a certain curry so much, but the cumin wouldn't give you a reason to like it. And yet, and yet ... knowledgeable people seem to be able to tell us why we should like some music and not like other music. In fact, my brother told me (fairly politely) that I shouldn't actually like Fleet Foxes so much. He said they sing out of tune, for example. Should I notice that and respond negatively? Is that a reason not to like them, or just a cause of his being not-enamored? Not ... sure. But I'm going to listen to some more Fleet Foxes while I think about it. Here's another great song from their first album--"Your Protector." I think it sounds like really loud noise and horrific singing. I mean, I hear the melody, and I can understand the tempos and such... But no matter what it sounds dissonant. And the clanging somethings that act as percussion doesn't seem to help. It doesn't help that I was raised around it, since I'm Chinese, and my parents played that kind of music in the car.... I never liked it. But my parents love it. Should they not love it? I really think they shouldn't. So I guess I disagree with Parfit here. The reason to like something, or not like it, is the state of your brain at the point of experiencing it. 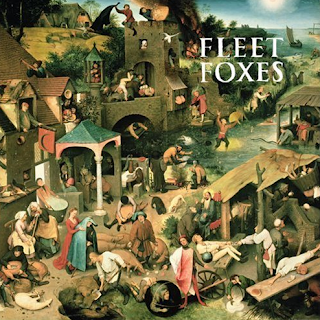 When your naive musical brain hears Fleet Foxes it enjoys the various tones, melodies and basic things that it has been set up at that moment to like. When your brother educates you about music he has changed your brain. You may now listen for different things that you would have happily ignored before, you might want a more detailed arrangement, better timing, more complicated chords. So your brother has not given you a reason to not like Fleet Foxes, but he may have caused you to not like them by altering what you now enjoy about music. One person's "reason" to dislike music could be another person's "reason" to like it. I enjoyed hearing the Fleet Foxes posted here, and if the vocals were "in tune" I might like it less. I expect the band listened to different takes and made similar judgments. Consider this duet between Joe Zawinul and Wayne Shorter, posted as Part 1 and Part 2. When Shorter plays soprano sax high, he plays "sharp" (relative to an octave below). You can hear this most clearly in Part 1 at 1:42-1:46, where he states octaves explicitly. I'll describe Shorter's intonation as "stretched" (not "bad" or "wrong"), and I'd rather not "explain" it here -- it's best if we experience it, with the audience in the video. I too wonder about the "reasons" we can express to like something versus whether we really like something. They have a relationship, but more complicated than one simply causing the other (maybe like "is" and "ought" have a relationship?). I like crystal's comment, I'll remember it. Update: The links I posted don't work the way they did when I posted my comment, so here is the same video on YouTube in HQ as Part 1 and Part 2. Again, my point is you can hear Wayne Shorter's octaves are "stretched" in Part 1 at 1:42-1:46, and Joe Zawinul's keyboard sounds work with that.